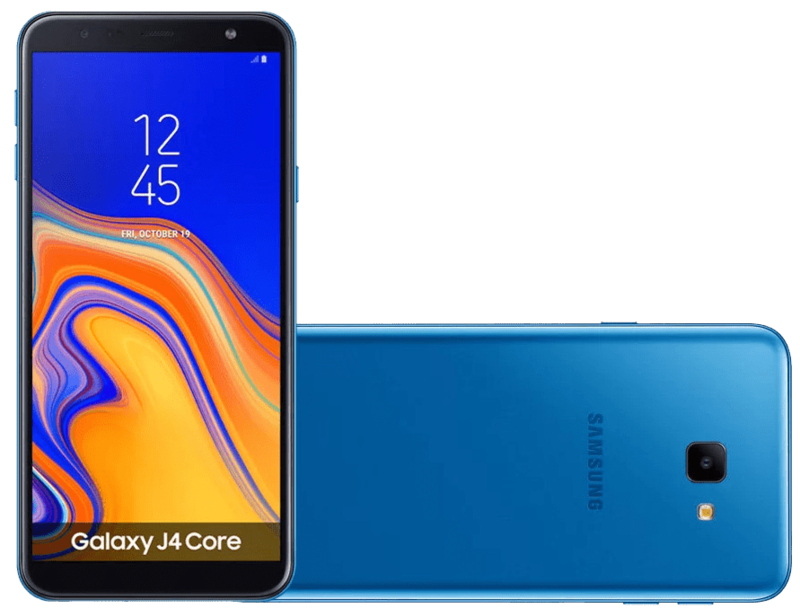 Samsung has not only launched the ultra-premium and costly flip-phone Samsung W2019 for China but has also launched the new affordable Samsung Galaxy J4 Core that comes with an infinity display and runs on the Android Go Oreo OS. The Samsung Galaxy J4 Core comes with Black, Gold and Blue color options, however, no details about the pricing of the device were revealed by the company. It comes with a fingerprint sensor and also supports Face Unlock feature. It has a bigger battery to support the 6-inch display. Let's check out the other specifications of the device. The Samsung Galaxy J4 Core features a 6-inch HD+ TFT display with 1480 x 720 pixels resolution and is powered by a 1.4 GHz Quad-Core processor. It comes with 1GB of RAM and 16GB inbuilt storage that is expandable up to 512GB with the help of a microSD card slot. It runs on the Android 8.1 Oreo (Go edition) and comes with Dual SIMs. It has an 8-megapixel rear camera with LED flash, f/2.2 aperture and has a 5-megapixel front-facing camera with LED flash and f/2.2 aperture. It has a 3300mAh battery and supports 4G VoLTE, Wi-Fi b/g/n, Bluetooth 4.2 LE, GPS, 3.5mm audio jack connectivity options and supports FM Radio as well. It measures 160.6 x 76.1 x 7.9mm and weight 177 grams. To recall, the Galaxy J2 Core was announced with a 5-inch qHD TFT display with 540 x 960 pixels resolution and is powered by a 1.4GHz Quad-Core Exynos 7570 14nm processor with Mali-T720 MP1 GPU. It comes with 1GB of RAM and 8GB of inbuilt storage that is expandable storage up to 256GB with the help of a microSD card. It runs on the Android 8.1 Oreo (Go edition) out of the box and supports Dual SIMs. It has an 8-megapixel rear camera with LED flash, f/2.2 aperture and has a 5-megapixel front-facing camera with f/2.2 aperture. It has a 2600mAh battery and supports 4G VoLTE, Wi-Fi b/g/n, Bluetooth 4.2 LE, GPS, 3.5mm audio jack connectivity options and FM Radio support as well. It measures 143.4 x 72.1 x 8.9mm and weight 154 grams.